The best part of growing high-quality cat grasses for your finicky feline is that you can do it all year round. Despite being obligate carnivores, cats still require greens to stay healthy. Whether you grow organic oatgrass, wheatgrass, rye grass, sprouts, catnip or any other type of cat-centric plant, your cats are sure to appreciate the effort! Theories on why cats enjoy munching down on fresh grasses vary. Some experts consider cats’ grazing to be a behavioral trait, while others believe it to be an instinctual response and consider it an important part of their cats diets. Nearly all can agree that it’s a cat’s natural way of increasing their daily intake of vitamins and minerals, as well as fiber, to help get all that hair they groomed from themselves moving out of their digestive tract. Since grass eating usually equates to a natural remedy for hairballs, here are 10 Creative Uses for Hair and Hairballs! Whatever the reason for making grasses available to cats, there is no denying that most cats enjoy fresh grass. Failure to provide it means your houseplants are likely to fall victim! Vitamin A: Vitamin A is essential for an animal’s night vision, the maintenance of soft tissues and mucus membranes, and normal growth. Vitamin B Complex: B-complex vitamins are vital to the health of the nervous system. Vitamin C Vitamin C is important in supporting a healthy immune system. It acts as an antioxidant nutrient in synergy with Vitamin E. Vitamin C also aids assimilation of essential minerals. Vitamin K: Vitamin K helps regulate blood clotting, and is essential for healthy kidney function and bone metabolism. Antioxidant vitamins and minerals found in these grasses help to protect fatty acids from oxidation. Vitamin E: Vitamin E is the most widespread fat soluble antioxidant in the body. It is important in helping maintain the function of oxidation susceptible fatty acids in all cell membranes. The more polyunsaturated fatty acids, like omega-3 fatty acids, in the diet, the more important it is to have adequate levels of vitamin E.
What Type of Grass Is Best? There are many different types of blends of grasses (some even with catnip or lavender added into it). Remember, you don’t have to focus just on grasses. Some types of plants have benefits to cats as well. In fact, Catnip and lavender can both have a relaxing effect on cats, even if they don’t normally respond to catnip. You may also want to consider one of these Top 5 Alternatives to Catnip. But if you’re focused only on grass, let’s take a look at the most popular forms for consumption. This is one of the preferred grasses by veterinarians as it’s been demonstrated to help prevent (and even treat) kidney disease in pets. Wheat grass has been nicknamed “liquid sunshine” due to its high amount of chlorophyll. It’s also filled with vitamins and minerals – in fact, one pound of wheat grass is equivalent to 23 pounds of garden vegetables according to agricultural scientist Charles Schnabel, regarded as one of the world’s foremost experts on cereal grasses. 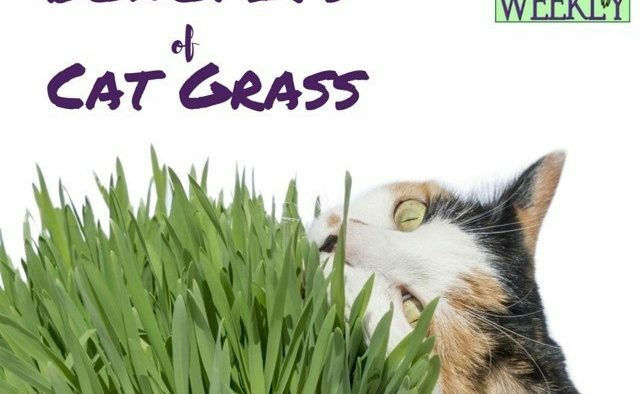 Some people believe that wheatgrass is too rich for digestion (and that primarily has to do with your cat’s digestion so give a few types of different grasses a try first). If your cat doesn’t respond well to wheat grass, consider oat grass. Oat grass is part of the cereal grass family and is another powerhouse grass like wheat and barley. Oat grass can help to calm the digestive system of your cat and is high in protein and soluble fiber, so it can be very beneficial in helping your cat expel hairballs. Don’t want to hunt down organic oatgrass that’s safe for your cat? Imperial Cat offers certified organic oat seed to ensure there are no harmful pesticides present. Barley grass is another favorite of cats and it’s rich in vitamins, minerals and enzymes. As one of the oldest cultivated grains, it has a long history of being safe and simple to grow. 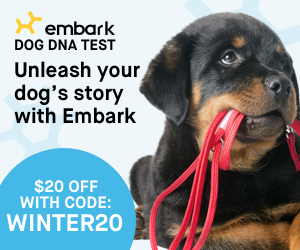 It’s quite hardy and can grow up to 14″ long! Consider doing a blend of three grasses when creating your garden. Rye grass is another powerhouse of nutrition and it’s fast-growing so it will bounce back quickly once your cat gnaws it down. Cats enjoy a number of different herbs and plants, including the most obvious catnip, lemongrass, lavender, and more. For more suggestions on safe plants for cats, check out these helpful articles on Plants that Naturally Repel Fleas and Ticks and our Top 5 Alternatives to Catnip. What If I Don’t Have A Green Thumb? Don’t have a green thumb? Fear not – there are plenty of ways to grow grass without hardly any effort at all. You can start from seed with a simple windowsill seed growing kit or you can buy live grasses at your local retailer (and even online). Priscilla’s Pet Products offer an easy to maintain window-sill pot, Pioneer Pet offers a reusable box in their popular product, Kitty’s Garden. Both are appealing and easy to use, and both come with replacement seed packages. Pet Greens® Garden from Bell Rock Growers makes it easy to grow certified organic greens right out of the bag. One of our cats favorites is the Live Pet Grass Multi Pack which includes 2 of each original (wheatgrass), house blend (oat, rye and barley) and catnip. These ready-to-use containers of Pet Greens® Live Pet Grass® and Live Catnip are also available in pet stores nationwide or you can have live plants shipped straight to your home. The answers to the best type of cat grass vary, but with a multitude of grasses on the market, the thing that all vendors agree upon is that it should be naturally grown, chemical- and pesticide-free, certified organic, and a nutritious blend that is appealing to your cat!